Summer is here and it is time to get the grill out and start cooking! Are you looking for your first grill, or do you want to replace the one you have? We are going to help you out today. The hardest part about finding and purchasing a grill these days is that there are just so many brands and products available to choose from. This is not a negative, as it is better to have too many choices than none at all, but it can be difficult. With so many options, what do you look for and eventually which product should you buy? When purchasing a pellet grill the most important thing to look at is quality. You want an authentic high-quality product to do your grilling. You want the grill to hold a lot of pellets and provide you with delicious food. You want to set the temperature easily and let the grill do the trick and maintain that temperature. To help you find the grill you are looking for, we are going to be reviewing the Traeger TFB29LZA Junior Elite Grill. We hope through this review it will help you when it comes to making a decision on which pellet grill to purchase! The Traeger TFB29LZA Junior Elite Grill comes with a lot of features to enhance your overall grilling experience. First of all, what drew us to this product was the fantastic price of the grill. There are plenty of grills that can cost well over $1,000, but this comes in at under $500, if you follow the link we have provided. Whenever reviewing a product that costs less than its competitors, we want to make sure that the manufacturer did not sacrifice too much quality just to make a cheaper product. The Traeger TFB29LZA Junior Elite Grill comes with a substantial grilling area measures 300 square inches (measuring 20” by 15”); this is definitely enough for cooking for your whole family. As with many pellet grills, this comes with a multi-position controlled thermostat for setting the temperature on the inside. It features an LED digital display so you can always know what the temperature is on the inside without burning or damaging the food you are cooking. This grill can easily hold 12 burgers, 18 hot dogs, or 4 chickens. If you are in the mood for a more elite form of meat, it can also fit three rib racks. If you are interested in eating veggies, it can hold a lot of veggies wrapped in tin foil to give them a great barbecued flavor. The Traeger TFB29LZA Junior Elite Grill comes with a 3-year warranty that will cover any malfunction the grill may experience over time. This is crucial to ensure that even if something goes wrong, you can get it replaced or repaired. As with all pellet grills, this works using hardwood pellets (most notably from the Traeger brand) in order to heat the grill and cook your food. 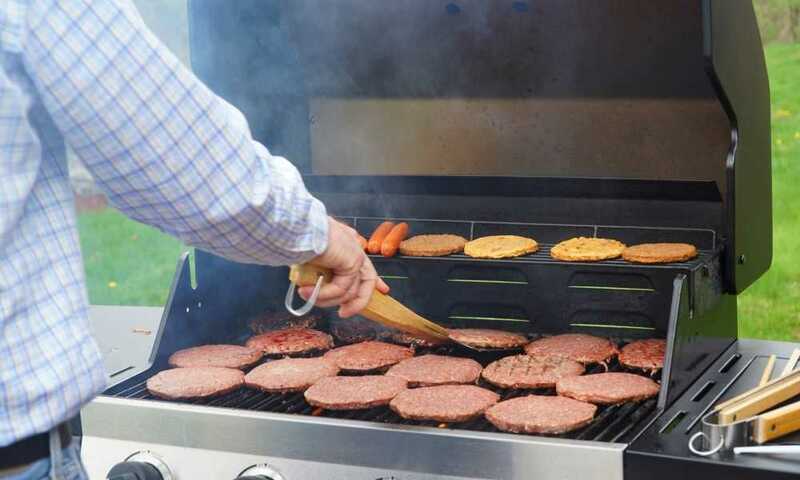 When purchasing a grill, it is integral that you take the time to know what you want to look for in one before you make the final purchase decision. You need to know whether this is a grill that will be used primarily at home or whether you intend to take it mobile on the road. This is going to directly affect the type of grill that you buy and what brand/size you will purchase. With that being said, we think the Traeger TFB29LZA Junior Elite Grill is a pretty good grill, although not the best on the market right now. We really enjoyed its concise and compact design, while not sacrificing too much room on the grill itself. It does come at an affordable price, and for its price point, we found that it works very well. The downside to this product is that we felt sometimes it would lose heat too easily and therefore, struggled to maintain the temperature we set on the grill. We feel that there are better grills out there and maybe you should keep looking.